Sometimes I think of pie puns and I think I’m hilarious, but you know how the saying goes: If at first you don’t succeed, pie pie again. 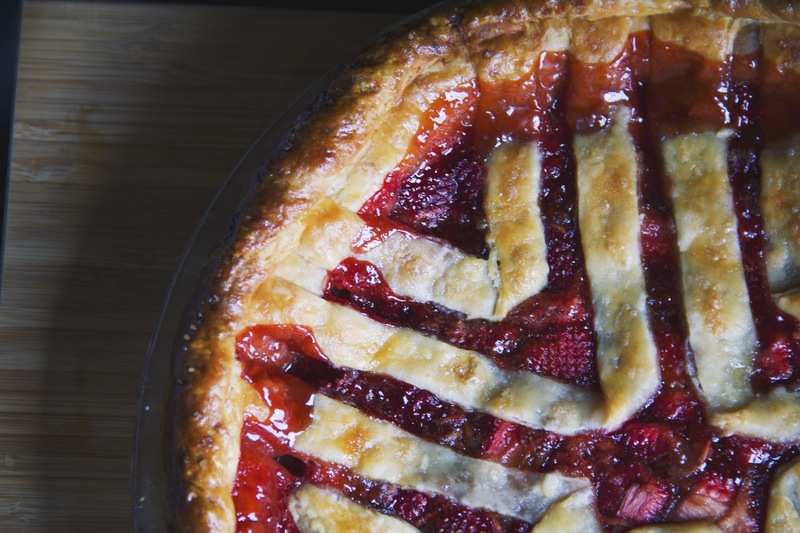 This month’s pie was a dough-licious strawberry balsamic beauty. 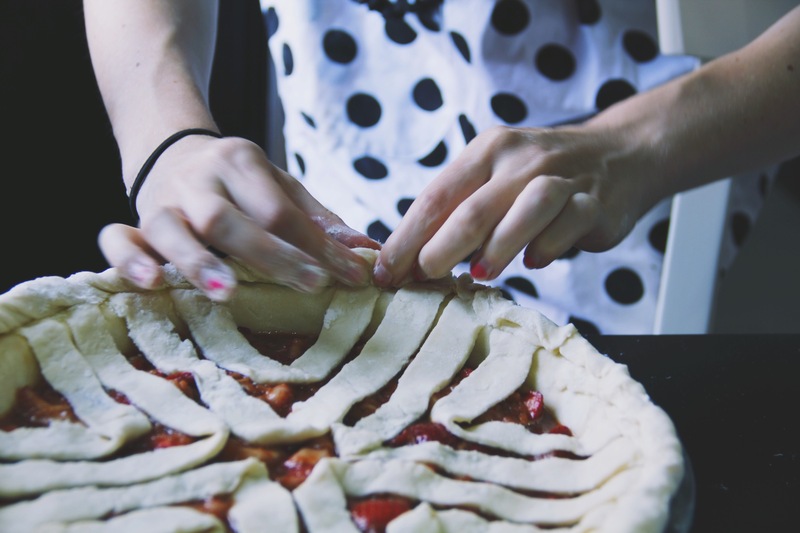 The lovely Saturday evening was a good day to pie hard—both in the pizza and dessert form. We each teamed up to make unique pizzas because eating pie for dinner every month is frowned upon. After stuffing our faces (is there any other way to eat pizza?) we devoured this berry red babe between sips of gourmet cocktails. Next month is a momentous occasion. It’s the one year pie-versary of Pie Club and the birthday of two devoted Pie Club members: Allison and Connor. Yippie Pie-Yay! We’ll be breaking all the rules and eating TWO pies in ONE day to celebrate these baes. I LOVE how you arranged your upper crust- I must mimic it… gorgeous!! Thank you! It was pretty easy too. You should definitely try it!